Plate XI. 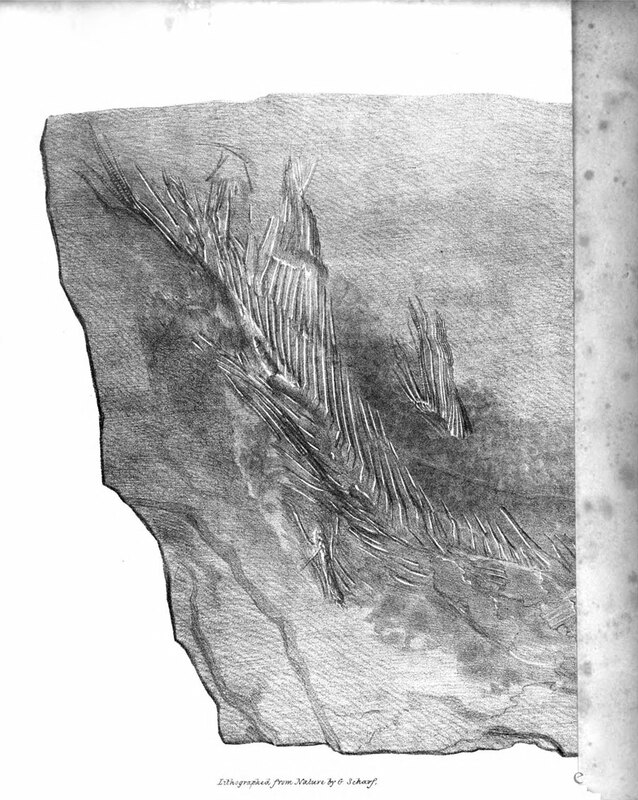 Fossil Fish (genus not determined). illustrating The Rev. A. Sedgwick, V.P.G.S. F. R. S., his On the Geological Relations and internal Structure of the Magnesian Limestone, and the lower Portions of the New Red Sandstone Series in their Range through Nottinghamshire, Derbyshire, Yorkshire, and Durham, to the Southern Extremity of Northumberland. Fossils identified (to a degree) at pp 116-118. George Johann Scharf (1788-1860, *). via (a productive) search for snow + plate + transactions, pre 1923.